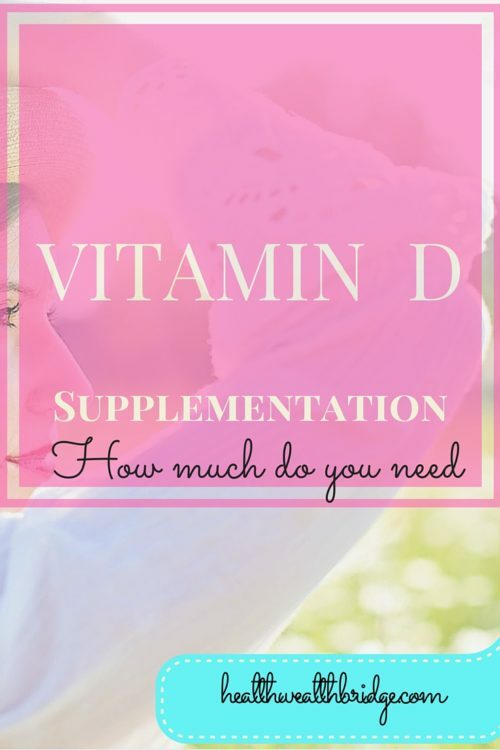 How much Vitamin D supplementation do you need? This is being desperately researched.You might be confused with the wide range of options available. When I wrote about how Vitamin D deficiency is a pandemic ,one of my readers suggested I explain a litle bit about supplements and special cases. Vtamin D supplements can prevent and treat both skeletal and non skeletal problems . UV radiation is a human carcinogen .It can cause skin cancer. UV radiation is also responsible for vitamin D synthesis, by your skin. The Ultraviolet spectra unfortunately ,is the same for Vitamin D goodness ,and the cancer scare. If you have been tested ;you know that the Vitamin D, blood test is expensive.Your doctor will ask you to do it ,only when certain clinical,laboratory or X-ray red flags ,look suspicious. Worldwide, naturally occurring dietary sources of vitamin D are limited.Food fortification is often optional, inconsistent, inadequate. Some studies recommend doctors to routinely test for hypovitaminosis D,in patients with musculoskeletal symptoms.These include bone pain, myalgias, and generalized weakness. You should measure your total 25(OH)D ,to check body stores of Vitamin D.
What is the best Vitamin D level? Severe vitamin D deficiency (<10 ng/mL): “Loading dose” 50,000 IU of vitamin D orally once weekly for 2-3 months/ 3 times weekly for 1 month. Daily dose of 800 to 2000 IU. Tube feeding without malabsorption :Cholecalciferol (D3) powder form in satchet preferred. D2 or Ergocalciferol is oil based and can clog the feeding tube.So better avoided. May need higher doses as per condition. 1)Vitamin D in doses of 800-5000 IU/day to improve musculoskeletal health.This will decrease fractures and falls in adults ( ≥ 65 yrs).The actual dose will depend on vitamin D levels. 2)Documented vitamin D deficiency:Total dose of at least 600,000 IU divided over several weeks is best to replenish significantly reduced stores.appears to be Single large doses of 300,000-500,000 IU should be avoided. Large Vitamin D supplementation is not recommended in the absence of lab results. 3)Young, healthy adults :800 to <2000IU/day is adequate. A word of caution.Always start any supplementation, under doctors supervision. Hypervitaminosis occurs only after ingestion of more than 10000 IU/day who may be having , generous/excessive calcium at the same time. It’s best to take Vitamin D with a little bit of fat/your meal.Since it’s a fat soluble vitamin it’s absorption is better. If you have confirmed Vitamin D deficiency take your doctors advice and start an appropriate dose. If you don’t know ,don’t want to get tested or just confused .Take 1000 IU per day as daily allowance. This puts a stop to continued depletion of calcium stores .But dosen’t have an effect on your lowered stores. Save some money .Get your Vitamin D blood level tested and be sure. Have you ever tested your Vitamin D .Do you want more such research based answers ,to avoid unnecessary expenses . Disclaimer:Always start any supplementation under doctors supervision.The information provided is meant to help create awareness and is not to be considered as professional medical advice.